I work with blades to make stamps. I change them as needed and when I do I don't carelessly chuck them out in the bin. Mainly because its a.) a dangerous object b.) 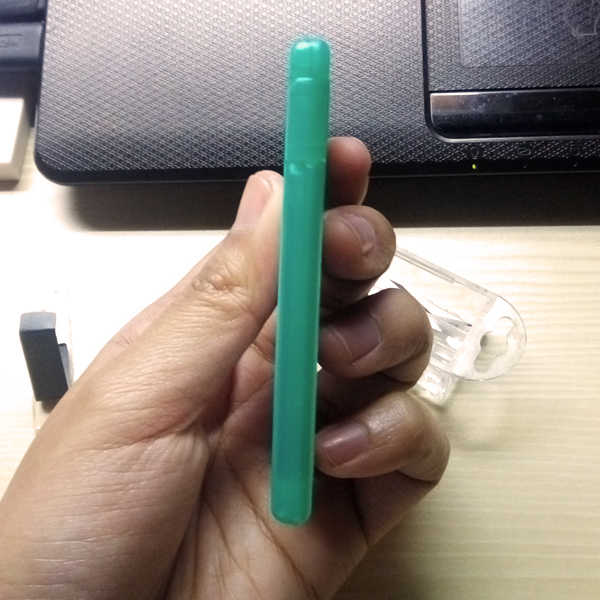 its non-biodegradable. 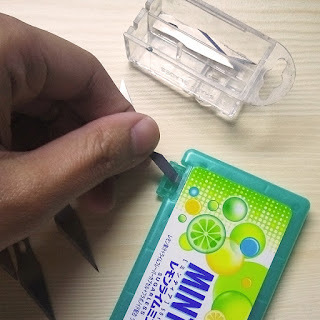 I found a new hack on how to safely dispose used craft blades. This is especially useful if your country operates on landfills. Every little effort helps in saving the planet. 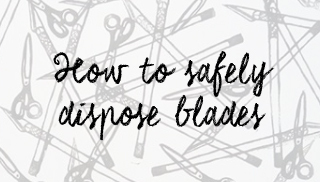 For the longest time I've been holding back from disposing my used blades. I keep them in a tiny container saving them until I find a way to safely dispose them. 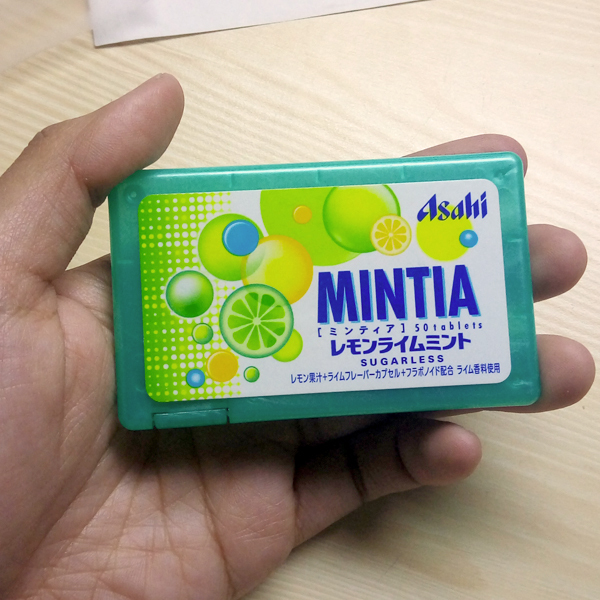 I bought myself a pack of mints in Japan which I happened to like because of its packaging. To my horror there seems to be no way to recycle this container. That's when I remembered the blades. 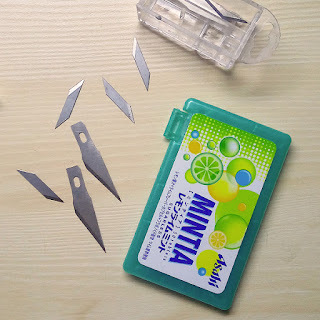 A regular craft blade can fit the mouth of a Mintia container. 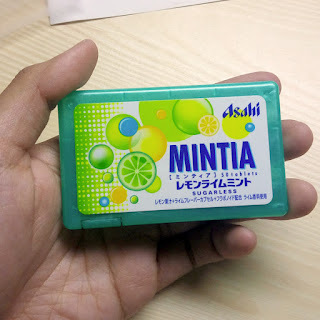 This is by the most useful repurposing I've done with a pack of mints. Because the case is rather big, it'll take a while before I can fill up an entire mint container with blades. Find this hack useful? Share it with a fellow crafter!